As a qualified specialist paediatric osteopath, one of the commonest questions I get asked is how do you stop a baby from crying. Crying is of course a natural communication used by babies for almost every need: ” ‘I am hungry’, ‘thirsty’, ‘bored, ‘feel ill’ ” etc. But what happens when your baby is checked by the health visitor, GP or medical paediatrician and no reason can be found for your baby’s crying. What if your baby that cries the minute you put him down or awakens ‘suddenly’ from sleep crying. Or the baby that’s inconsolable from the late afternoon until night time? When the medical profession can’t find anything wrong they might say your new born baby is suffering from ‘colic’. It might also be the reason why colic treatments such as Infacol, Colief, ranitidine etc may have limited success in such cases. As your new born appears healthy and happy in other ways, there be another reason for this behaviour. Cranial Osteopaths take time to look at the baby’s head – which along with the gut is one of the most pain sensitive structures in a new born baby. Being born exerts large forces on the baby’s head, which is literally like squeezing a baby through an hour glass shape with the baby’s head being used to clear the way. No wonder it may have a sore head in some cases. Of course this is a normal process. Other reasons why a baby may get a sore head include: the way the baby might have been lying in the womb, how ‘crumpled’ the baby was in the womb and of course birthing processes such as forceps, ventouse or caesarean deliveries. In the case of the latter the head and neck can become stretched as the baby is pulled out, which is the exact opposite of what nature intended the head to do (remember in nature the head is designed to be ‘squashed’ as it descends the birth canal – not pulled and lengthened). Whilst such assisted delivery techniques are typically vital and safe, it makes sense to have your baby’s head and neck checked after. So what do I do as a cranial osteopath? Firstly I check to see if the baby’s head and neck are aligned as one would expect. I carry out gentle, tried and tested, cranial releases to ease any tissues which may have become tight or locked up. This consists of a series of gentle holds. No force is applied against these structures, just very gentle, subtle holds in certain directions. The neck and chest are also checked, as many of the head and neck muscles finish on the chest and upper back. Once a release has been established, most of the work is complete. The release provides a window of time for baby to get better. However if baby goes back to ‘old habits’ such as lying on the ‘wrong’ side, lifted or carried in certain ways etc, the problem may return. I teach parents how to look after their baby at home. Knowing doing right from wrong is a key support in the care of the new born baby. This would include positions your baby would favour when being held, techniques for lifting your new born baby, positions for laying your baby, baby postures to try and of course I show you what baby exercises to do. These are all specific to each new born child and so the advice given will vary depending on each baby. Stopping you baby crying is a joint effort between parent and osteopath. Cranial osteopathy may not be the solution in every case, but in cases where the crying is due to mechanical reasons, our special cranial consultations can go a long way to providing the postural relief for a happier, less fractious, new born baby. Cranial osteopathy for babies is known to help relax a baby, according to government research (NICE guidelines). 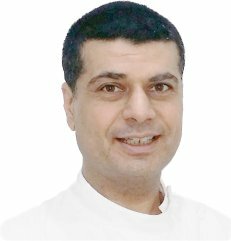 Vispi Jamooji is an experienced baby cranial osteopath, with a specialist degree in paediatric osteopathy from the world renowned University College of Osteopathy, London. His interest in crying babies began in 1994 following the birth of his own daughter who cried relentlessly from birth. His experience as a father is coupled with his professional skills, providing you with the confidence to manage as well as care for your new born baby child. NOTE: Only doctors are qualified to diagnose life threatening conditions, which thankfully happen rarely. For this reason we ask you to always take your crying baby to your GP first. We all want to be certain that any underlying medical issues have been eliminated. 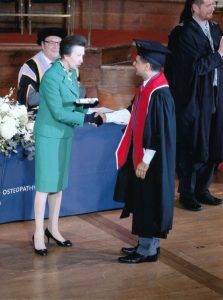 Mr Vispi Jamooji DO PG Cert SPOP is a qualified specialist paediatric osteopath as well as a cranial osteopath. He has been in practice over 30 years and heads the Baby Child and Mum Team at the Living Centre Clinic. For free advice click here or cal 02089462331.